Have you baked your apple pie yet? Here is another recipe for an apple tart/pie you may like to try it. Almonds add a wonderful golden hue and crunchiness to the crumble topping for this tart, which makes a perfect contrast to the sweet, juicy apple filling. Adding apple chips is totally optional, however it brings extra texture to this autumn dessert. Serve the flan with vanilla or caramel ice cream. Coffee anyone? My still life photograph is a life-size of the setup itself. I have printed it so large (40×60) to see how it would look on a wall. Then I compared it with a small photo and came to conclusion that each version is good on its own. Large format is great for hotel lounge or a dining room wall. It brings some drama to the atmosphere and introduces an extra dimension to the room. On the other hand, small print (8×12) of my still life is very special and unique. I like to frame it in a heavy museum quality frame and find a place in a house where I usually relax with a book and a cup of tea. You can see the whole composition at once, because it is so complete and perfect. Do not be tempted to put any sugar with apples, as this makes them produce too much liquid. All the sweetness is in the pastry and crunch topping. To make the apple chips (optional): Preheat the oven to 200˚F. Thinly slice apples crosswise about 1/8-inch thick with a mandoline or sharp knife. Arrange apple slices in a single layer on parchment-lined rimmed baking sheet. Sprinkle the cinnamon evenly over apple slices. Bake in the bottom third of the oven until apples are dry and crisp, about 1-1 1/2 hours. Remove from oven and let cool completely. To make the pastry: Place the flour in food processor or mixing bowl and rub in the cold butter until the mixture resembles fine breadcrumbs. Stir in the ground almonds and sugar. 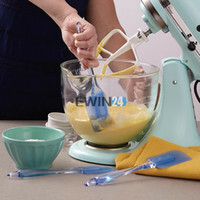 Whisk the egg yolk, water and almond extract together and mix into the dry ingredients to form a soft, pliable dough. Knead until smooth, wrap in clear film and leave in a cool place for 20 minutes. Meanwhile, make the topping. Sift the flour and mixed spice into a mixing bowl and rub in the butter with your fingertips. Stir in the sugar and flaked almonds. Roll out the pastry on a lightly floured work surface and use to line loose-based quiche pan, taking care to press the pastry neatly into the edges and to make a lip around the tip age. Use a rolling pin to trim off the excess pastry and give a neat edge. Chill for 15 minutes. Place a baking sheet in the oven and preheat to 375F/190C. Peel, core and thinly slice the cooking apples. Orange the slices in the pastry case in overlapping, concentric circles, doming the centre. Sprinkle over the raisins. Cover the apples with the topping mixture, pressing it on lightly. Place the tart on the hot baking sheet and bake for 30 minutes, or until the top is golden brown and apples are tender (you can test them with a fine skewer). Leave the tart to cool in the tin for 10 minutes. Serve warm, dusted with sifted icing sugar. Don't worry if the pie seems too full after adding the apple slices; as the apples cook the filling will drop slightly. Beautiful clicks, as always, and the tart looks fantastic! A heavenly tart and fabulous still life! I think it would be stunning in a dining room..even on canvas..GORGEOUS,as is your tart and topping. I always admire your photography of your mouthwatering recipes and have promised myself this is my next dessert – impressive without being complex. Thank you for sharing. Thank you all, for your beautiful comments! I’m going to be making this at home.. I was wondering if you think it would be able to be frozen after it’s been baked? Emily, yes, you can freeze it, but only cake not the chips. Make chips before you will serve the cake! Have a great day!